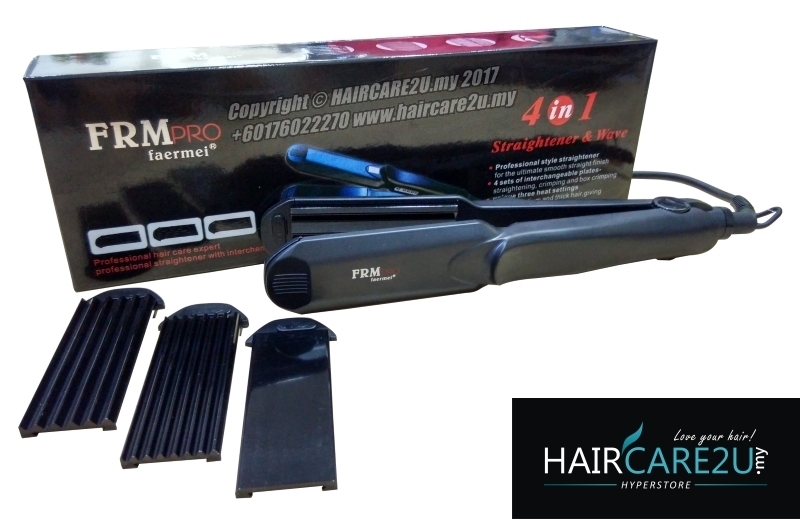 Advanced Titanium technology gives iron remarkable heating durability & straightening power. Swivel cord rotates 360℃ with unique toggle. Insert the plug of the thermal iron into electrical outlet, ensuring that the supply voltage matches the rated voltage stated. Press the ON/OFF button which is at the end of the buttons on the handle. The LED display will indicate the default setting temperature 120°C. Press the UP or DOWN button to change the desired temperature for use. After setting the temperature, the LED display will glitter for a short moment and then display the actual temperature of the heating barrel. The display will show the changes in temperature progressively until it attains the set temperature. Press & hold the ON/OFF button for 3 seconds will turn off the power, at this time, the LED display will off and now you can remove the plug from the electrical outlet.